At David Arthur Opticians in Lichfield, we work to ensure that your eye exam is less of a test of your patience and more of a pleasant experience. We're a family-run practice that has been in business since 1969 and in that time we've broadened our services to include eye tests and eye examinations for many different purposes. Diabetic Screening - We're a registered diabetic screening centre and our experts and modern equipment guarantee a thorough eye exam. It's estimated that effective eye screening and proper treatment could reduce the blindness caused by diabetes by half. Glaucoma Monitoring - Glaucoma, caused by an excessive pressure in the eye, can lead to tunnel vision and eventual blindness. But it is treatable if detected early enough. We're a registered glaucoma monitoring centre, so speak to us if you have any concerns. Retinal Photography - A retinal photograph is a picture of the inside of your eyeball, and represents one of the most advanced ways of diagnosing conditions such as high blood pressure, glaucoma, cataracts and diabetes. 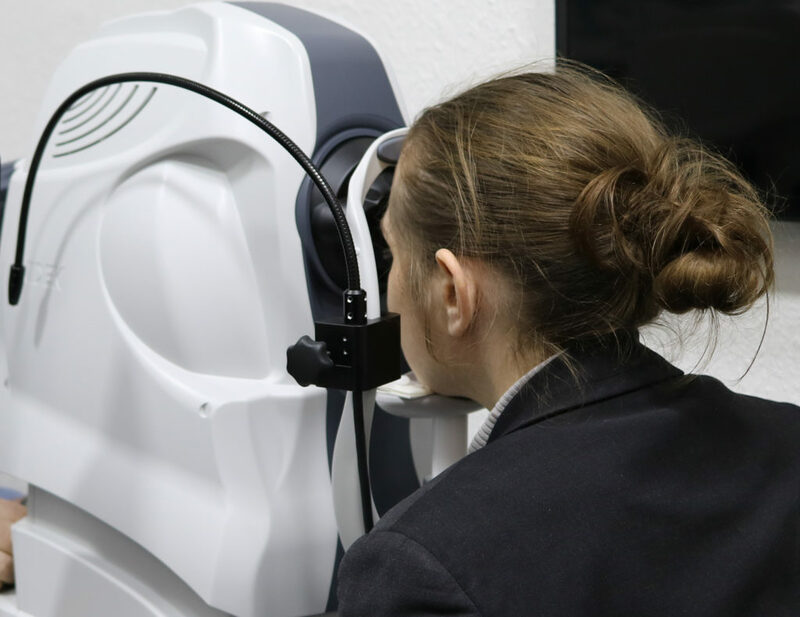 Our optometrists have this cutting edge technology at their disposal to ensure that you receive the most up-to-date eye examination possible. Speak to us today on 01543 251 130 to find out more about the eye tests that we offer, or pop into our shop. We'd love to see you!